Please click image for a larger view! and the Lynn University theatre program. future events and art news! about the October 6th opening reception. about the September 2nd opening reception. We look forward to your visit! Thank you! about the August 26th Open House reception. Click on the gallery sign above for printable 2007 summer schedule to open with your Acrobat Reader! Click the photo above for pictures from our Period Illustrations opening reception! the art department and art major at the college. 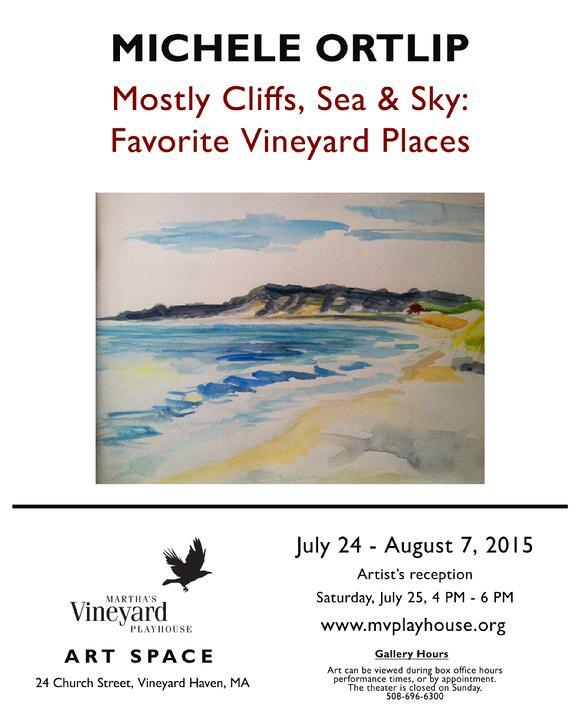 about the August 19th New Vineyard Works reception. Robin Eschner & Michele Ortlip. about the August 12th Fourth Generation reception. to celebrate the Massachusetts tax-free holiday. about the August 5th Evening in Tuscany reception. signed by the artist, are now available. Figures and dancers in drawings, sketches and paintings. about the July 29th Figures and Dance reception. was still on display through July 29th. opening reception to this beautiful exhibit. 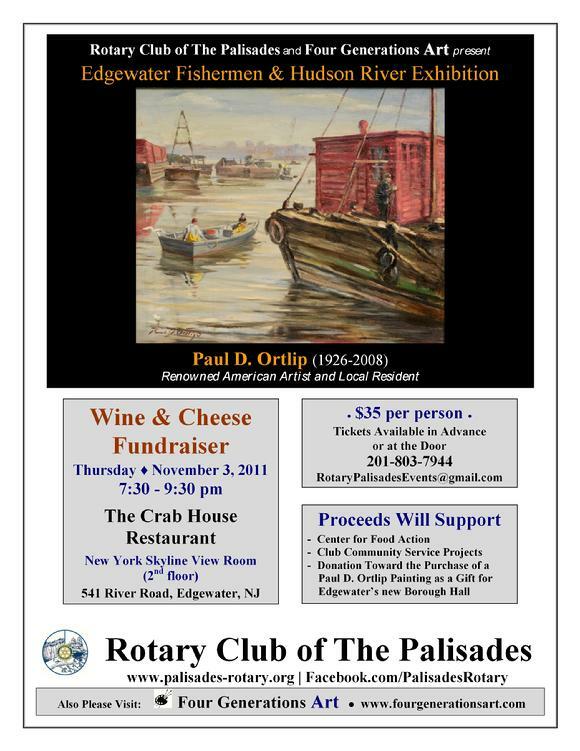 Paul D. Ortlip and Aim�e Eschner Ortlip. about the July 22nd Flowers and Gardens reception. 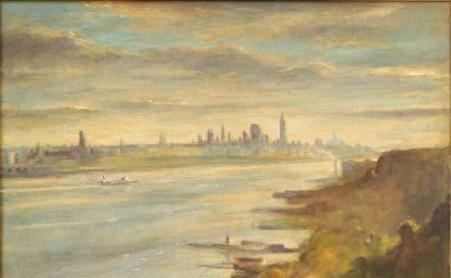 remained on view throughout the summer. Aime� Eschner Ortlip, and Henry McCarter. about the July 15th Period Illustrations reception. for many island charity benefits. about the July 8th Portrait Demonstration. Click the image above for photos of Paul Ortlip's portrait demo with Trip Barnes. NASA's last manned lunar mission. on the recovery ship for Apollo 17.
throughout the summer of 2007. Thank you for a wonderful opening reception! about our NASA & NACAL exhibit opening reception. on the island of Martha's Vineyard. Please click on the photo above for photos of our opening reception! Thank you for a very special event! 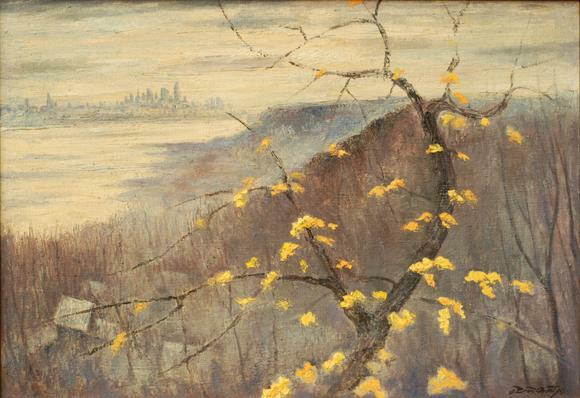 The exhibit was shared by several borough institutions, which included a special weekend in April that saw opening receptions at the three main venues, plus an historic jitney tour which visited the sites of several public installations of Ortlip art. 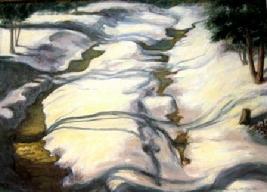 The wide-ranging exhibit, which ended on June 10th, included works on loan from the Smithsonian Institution, the U.S. Naval Historical Center, several private collections, and the artist's personal collection. 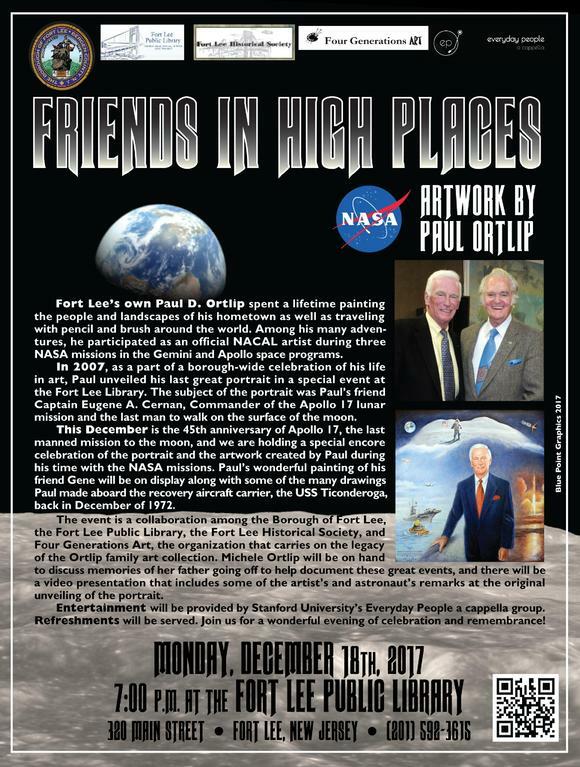 The wonderful show was host to the unveiling of Paul Ortlip's current portrait of NASA astronaut Eugene A. Cernan, commemorating the 35th anniversary of the last manned lunar mission, Apollo XVII. The exhibit was on display from April 20 through June 10, 2007. 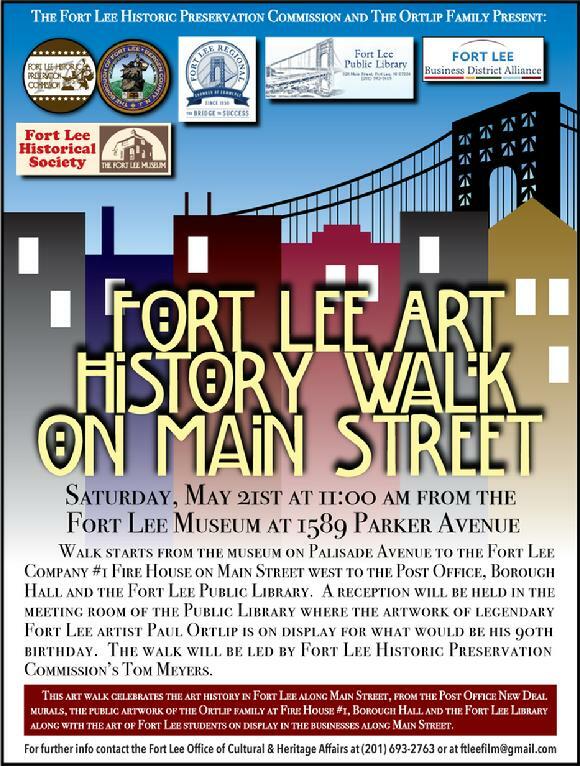 A very special walking tour of the exhibit with Paul Ortlip was held on June 9th at the Fort Lee Public Library and the Fort Lee Museum, followed by a reception with the artist. A big thank you to all who were able to attend the many exciting events! Please click on the thumbnails above for exhibit photos and descriptions. Photos courtesy of Donna Brennan, LB Norton, and Four Generations Art Gallery. 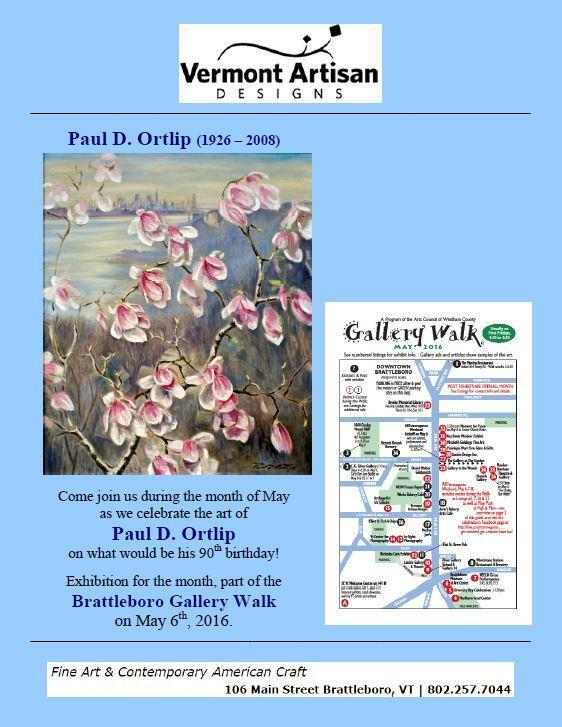 Originals and gicl�es with a youthful theme.